Is Detroit’s financial oversight board too big to succeed? 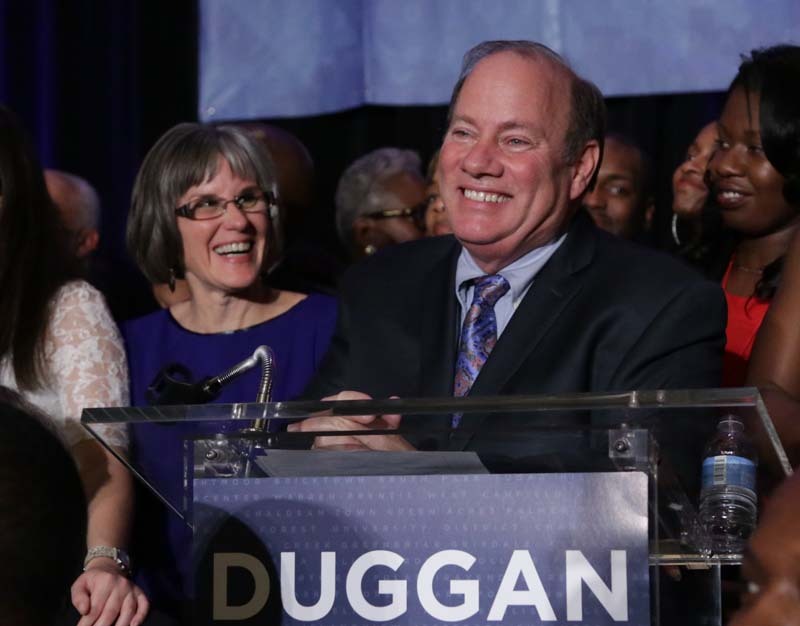 Since Mike Duggan became mayor of Detroit more than six months ago, he’s methodically kept a list of his accomplishments, including his friendly working relationship with City Council. Given the toxic relations of past mayors with council, Duggan’s detente with its members is akin to finding bigfoot on the second floor of City Hall. It could come in handy when Emergency Manager Kevyn Orr leaves this fall and the mayor and city council are allowed to have a hand in city finances. But a third party will soon be introduced into this budding relationship: After Detroit exits bankruptcy, a state Financial Review Commission will have authority to approve the mayor and council’s four-year budgets, approve sizeable contracts, approve collective bargaining agreements and report to the governor twice a year for the next 13 years. This powerful, nine-member commission, created as part of a “grand bargain” with state leaders, is intended to protect nearly $200 million in state funding to Detroit by ensuring that city leaders budget money responsibly. But experts say the commission’s credibility and effectiveness could be blunted if it’s perceived as blocking the ability of Detroit’s democratically elected officials to run the city. If not handled delicately, these experts say, the commission could face the same old political fighting that has scared away residents, businesses and progress. Duggan and Council President Brenda Jones pushed for local representation on the commission and lawmakers added a city council appointee. There’s also a counter-balance – a gubernatorial non-Detroit resident appointee. As part of the so-called “Grand Bargain,” the state legislature approved a package of bills to help Detroit get out of bankruptcy, that included $195 million in state funding to Detroit and creation of the Michigan Financial Review Commission, run out of the state Department of Treasury. If all goes well, and the city’s financial targets are met, the commission will dissolve in 13 years. The size of Detroit’s commission – nine people – could slow progress to that finish line, said Lawrence Miller, a researcher at the University of Washington, who has studied the relationship between financial control boards and governmental financial conditions in distressed cities nationwide. The creation of state-controlled boards to oversee troubled cities is nothing new, with Philadelphia, New York City and Pittsburgh serving as predecessors to Detroit. But Miller said that smaller boards – of five to seven people – help maximize cooperation and minimize political logjams. While the Detroit commission may be too large, its budget will help reduce political games, according to Miller. The commission is to receive $900,000 from this year’s state treasury budget for operations. Financial control boards in New York and Washington, DC worked better than those in cities such as Yonkers because the big-city boards had the money to hire their own staffs to conduct financial research instead of relying on city officials to turn over information, Miller said. “The lesson, then, is that financial control boards with their own staffs have the capacity to implement new information systems to obtain reliable numbers they can trust and use to make important decisions that will affect the city’s future — including replacing agency leaders when necessary,” according to Miller. Lou Schimmel knows a little something about overseeing a city – or three. Schimmel served as emergency financial manager or emergency manager in Ecorse, Hamtramck and Pontiac. In each city, after he balanced the budgets and left, the city back slid into deficit. Each was then placed in the hands of yet another state-appointed emergency manager. Schimmel is now on the transition advisory board for Pontiac, a body permitted under the current Michigan emergency manager law. The Pontiac transition advisory board is less powerful than the commission that will oversee Detroit’s finances. However, the role is the same – to make sure a distressed city does not fall back into the hole after an appointee reins in the budget. In all three places, as emergency manager Schimmel sidelined elected officials while he cut the budget. The route to recovery, Schimmel said, is the mindset of the people involved – both elected officials and those on the oversight board. “The question is, when do you get rid of the board? I guess when you get a mayor and council that buy into doing things that don’t create problems,” Schimmel said.